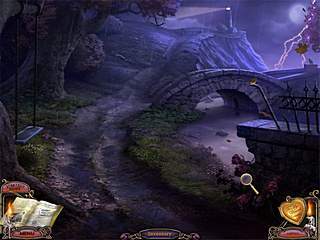 MCF is one of the most favorite game series of the hidden object adventure genre. The game is beautifully polished in its every aspect. It will be more interesting for those who tendto more challenging games in some awesome wrapping. The game is not an easy one. You will have to stop and think a lot. 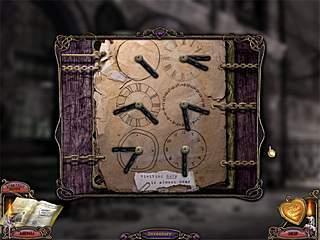 Mystery Case Files: Escape from Ravenhearst is the sequel to a series where you go back to the manor that you thought you were never going back to. This time you are trying to finish this story again, but this time you are going to go through the story of your enemy. And that story and background are not that interesting and attractive. It is more like a journey to what it takes to come up with a totally sick and perverted personality. The game is not an easy one. You will have to stop and think a lot. Clues are everywhere, but easily overlooked. The strategy guide is unique; it doesn't tell you how to solve a puzzle or even find it. Just pictures that are little nudges in the right direction. The scenes are mostly morphing rather then hidden object ones. Thereare also puzzles that don't come with lots of explanation. So get ready to spend some time here and enjoy it. The game also features very detailed but creepy graphics and absolutely wonderful voice over. I?d must test with you here. Which isn't one thing I often do! I get plsaeure from reading a publish that will make individuals think. Also, thanks for permitting me to remark! This is Mystery Case Files: Escape from Ravenhearst review. Download this game here.